A new range of medical isolation transformers called PROMED, with power ratings of up to 8 kVA (1 and 3-phase), has been introduced by REO. PROMED transformers are designed for use with medical and non-medical electrical devices in patient environments and areas for medical use, to provide safe galvanic separation between primary and secondary windings (double and reinforced insulation). They have very low leakage currents and meet the strict air and leakage clearances required by the EEC guidelines for medical products in the Medical Directive 93/42/EEC. At the heart of the PROMED there is a high-efficiency dry-type, encapsulated, toroidal-core transformer, which has minimum stray fields, reduces capacitive coupling between the primary and secondary windings. There are a number of options available and these include a current in-rush limiter, an earth-leakage monitor and short-circuit/overload protection. 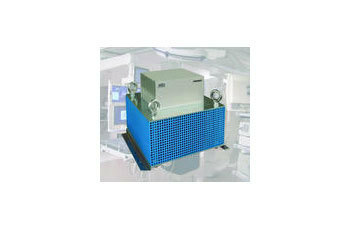 All units in the range have a standard footprint of 300 x 300mm and they are stackable.